Every now and then a photo surfaces on the internet showing a creature that causes everyone to question the very essence of reality. A photograph of the Venezuelan poodle moth has reemerged in the digital sphere recently, sparking puzzlement and wonder. It turns out that its first appearance in the human world was back in 2009. Since then, photos of the real-life fairy have surfaced in fits and starts, and really caught on in 2012. 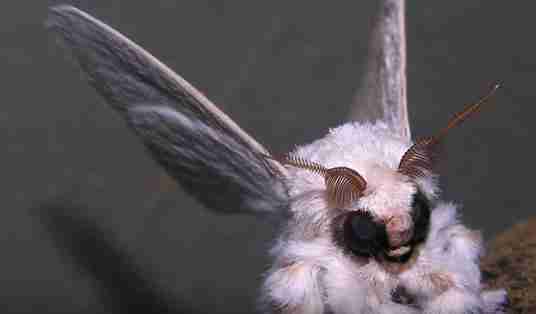 "A Venezuelan poodle moth is mystifying researchers, baffling the internet, and confusing everyone at a first casual glance," one article astutely put it. The fairy-like moth was likened to all kinds of other fuzzy moths, as well as to mythical creatures and Pokemon characters. Scientist John E. Rawlins, of the Carnegie Museum of Natural History, offered his opinion on this mysterious creature back in 2012. He said that the antenna is the distinctive identifying feature of the mysterious moth. Rawlins guessed that the creature could be "Lasiocampidae: Artace or a related genus," but that it will take a close examination of an actual specimen of a genuine Venezuelan poodle moth to be sure. It doesn't appear that a specimen has surfaced since Rawlins gave his best guess, based on the photograph. Even though more information on this real-life fairy doesn't appear to have been discovered since the buzz died down, the moth's photo is magically flitting around the internet. And, in a way, it makes the moth even more elusive and mysterious ... just like a fairy. Read about another real-life mythical creature here.